theMCGuiRE review takes a look at Mythos Tales from 8th Summit. This is a story driven game with a horror feel straight from the H.P. Lovecraft's universe! You will work as a team or alone to solve the crimes one by one trying to outwit Professor Henry Armitage and get the best most efficient score possible. 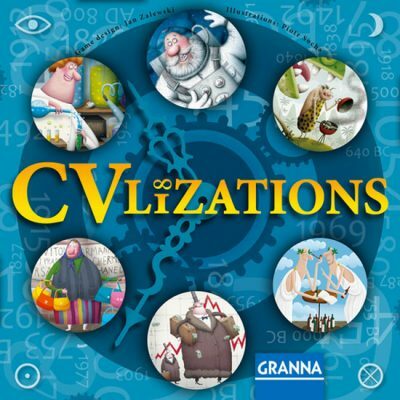 The game is super fun and travels well if you are on the go. So if you are looking for an adventure and you don't mind chasing down monsters from the deep, look no further than Mythos Tales! In this video you can find out my thoughts on BattleGoats by Card Lords. In this video you can find out my thoughts on Murder at Blood Mansion. Timeline is ridiculously simple to play. 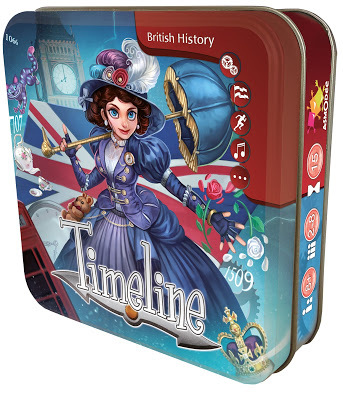 Each card in the game beautifully depicts an event in history. The front side is merely the artwork and title but on the rear of the card is the year in which this event took place. The aim of the game is simply to empty your hand of cards by slotting a card in between the right events. Flip over the card to see if you're correct, if so the card stays in place, wrong and the card gets discarded and you are forced to draw another card from the deck. The Refuge was very quickly funded on kickstarter recently, and lucky old me, I’ve just received mine through the post! The game itself is a mixture of deck building and a race to the finish line, all while trying to outsmart zombies and the other survivors, there is only room for one person at the finish line! School’s in session but the penguin students have only one thing on their minds: fish. 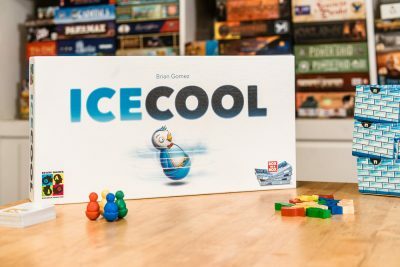 The winner of Ice Cool is the player who can collect the most. On your turn, you will flick your penguin pawn a single time. Certain doorways around the school will have fish tokens in your color attached to them. If you flick your penguin through one of these doorways, you remove the fish token and draw a fish card. It’s an easy enough goal, but it’s complicated by the presence of the hall monitor. 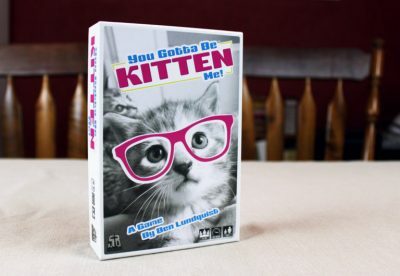 First things first: you’ve got kittens, see? That’s the thing. These kittens are wearing sunglasses, hats, and bowties, because why not? 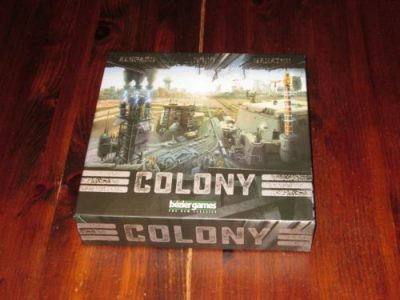 Colony is an engine building and resource manipulation game with dice for one to four players. Players are leaders of postapocalyptic colonies using their scant resources to build up their infrastructure. The first player to reach a certain point threshold is the winner. Players take on the roles of unseen hands guiding a tribe through the ages. As they do so, they will engage in resource gathering activities with the aim of acquiring knowledge and tools in the form of idea cards. Each card awards happiness points at the end of the game and/or a special ability to gain advantage over opponents. 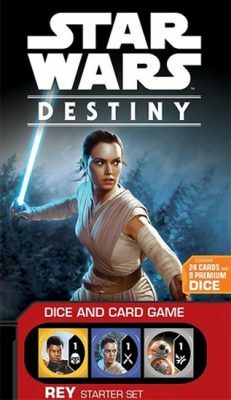 In Star Wars: Destiny, each player constructs (or uses a pre-made starter deck) of 30 cards. The goal of the game is to reduce the life of your opponent’s heroes to zero. This is accomplished by playing cards from your hand and rolling dice to gain attack power, resources or other special abilities. Turns will be played back and forth between players until one player is out of life. 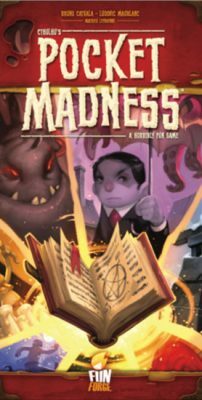 Pocket Madness (which sounds like a disease received from visiting Yuggoth) is a game about researching the Ancient Old Ones as recorded by the human Howard Phillips Lovecraft. By playing cards, the human players imagine themselves to be opening portals, publishing research and gaining “madness” (more like sanity if you ask me). The human player who is able to have the least “madness” at the end of the game wins. Luckily for the kingdom, scouts have noticed an impending army of monsters hoping to break through the castle defenses and take the treasures within. This advanced warning has allowed for the necessary preparation for the upcoming battle. 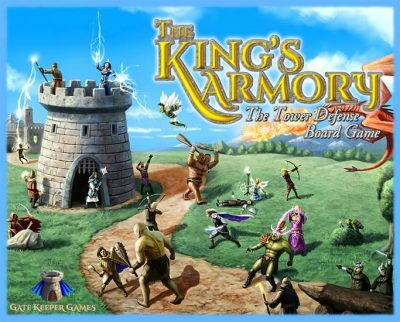 This allows the players to set up defensive towers and hire troops to defend the castle. Players will choose from traditional fantasy hero archetypes to command during the game.